There’s been a lot of speculation that Apple will use space-age Liquidmetal alloys to make morphing iPhones or other sci-fi technology, but the company has already used the exotic alloy — and in the most unlikely place. 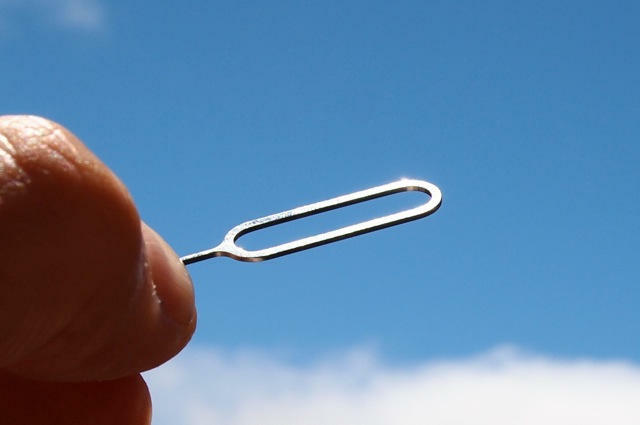 The pin for ejecting the iPhone 3G SIM card is made from Liquidmetal, an extremely hard and light metal alloy, according to Atakan Peker, the alloy’s co-inventor, who spoke to CultofMac.com last week. 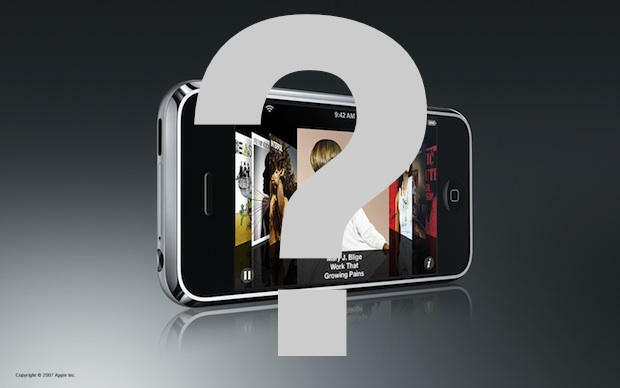 Peker recognized the metal when he opened his iPhone 3G. It’s as hard as nails and has a distinctive color and feel. CultofMac.com has independently confirmed that Apple used Liquidmetal. Apple sourced the part from Liquidmetal Technologies as a test of the company’s manufacturing capabilities. Apple has a very strict policy that normally requires at least two separate sources for parts. The policy is insurance against supply problems like factories burning down. But because Liquidmetal is state-of-the-art, there weren’t two sources of Liquidmetal parts. Liquidmetal Technologies didn’t even have two production lines. 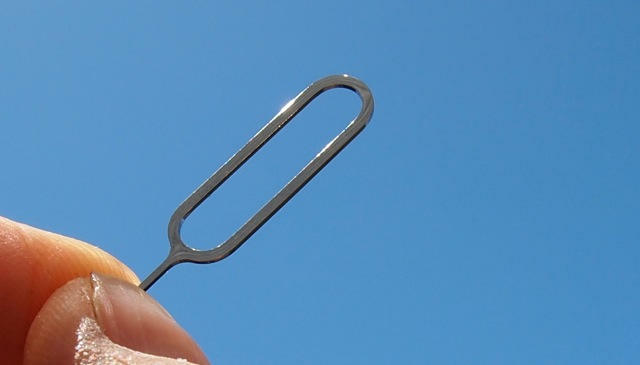 Apple decided to source a non-essential part: a SIM card ejector pin. 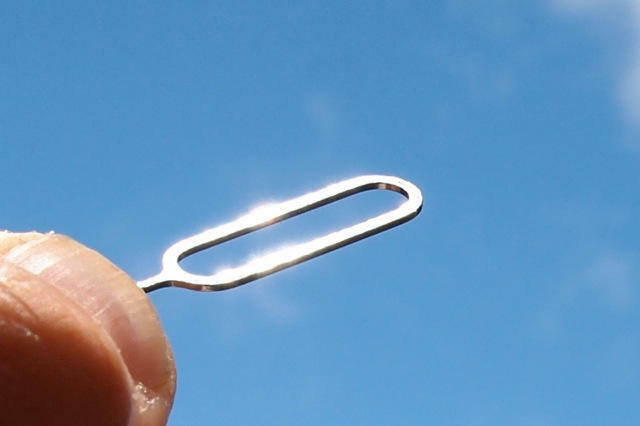 The pin was also a good test of Liquidmetal’s unique properties — it must be strong and inflexible. “It is practically unbendable by hand unless you want to hurt or cut your fingers,” Peker said. Peker co-invented Liquidmetal in 1992 with engineering professor Bill Johnson when he was a graduate student at the California Institute of Technology. He was the first scientist to make Liquidmetal, a form of bulk metallic glass, in the lab. Peker subsequently went on to become VP of research at Liquidmetal Technology, a Caltech spinoff set up to commercialize the technology. Liquidmetal is the commercial name of a series of bulk metallic glasses developed at Caltech. Apple has signed an exclusive agreement to use the company’s IP in consumer electronic products. The iPhone 4 doesn’t ship with a SIM card pin. Congratulations to reader @crosby who was the first to correctly name the Liquidmetal part in last week’s competition. @crosby wins a brand new Magic Trackpad.